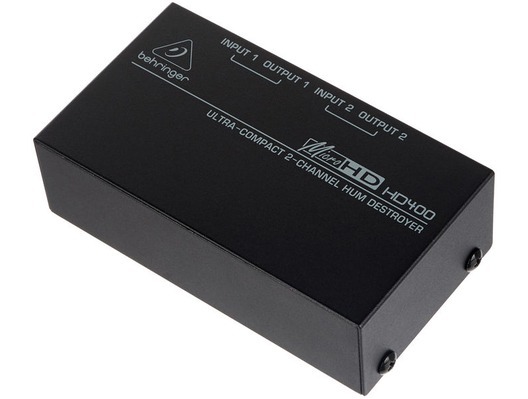 The Behringer MICROHD HD400 Hum Destroyer Di Box is a fantastic value AC hum eliminator and is small enough to transport with you on the road. The HD400 is the ultra-affordable way to quickly and easily clean up your act! Whether you're recording or performing, it's important to keep AC hum out of the mix. 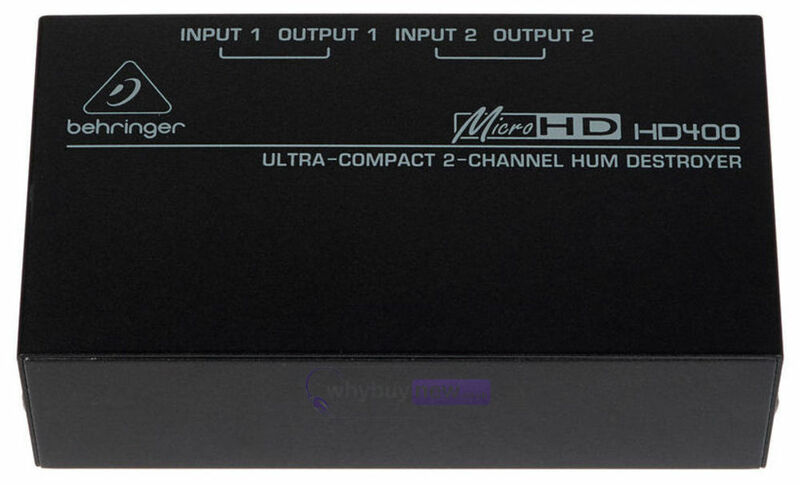 No matter the quality of the venue's wiring, the MICROHD HD400 Hum Destroyer eliminates AC hum quickly and reliably. 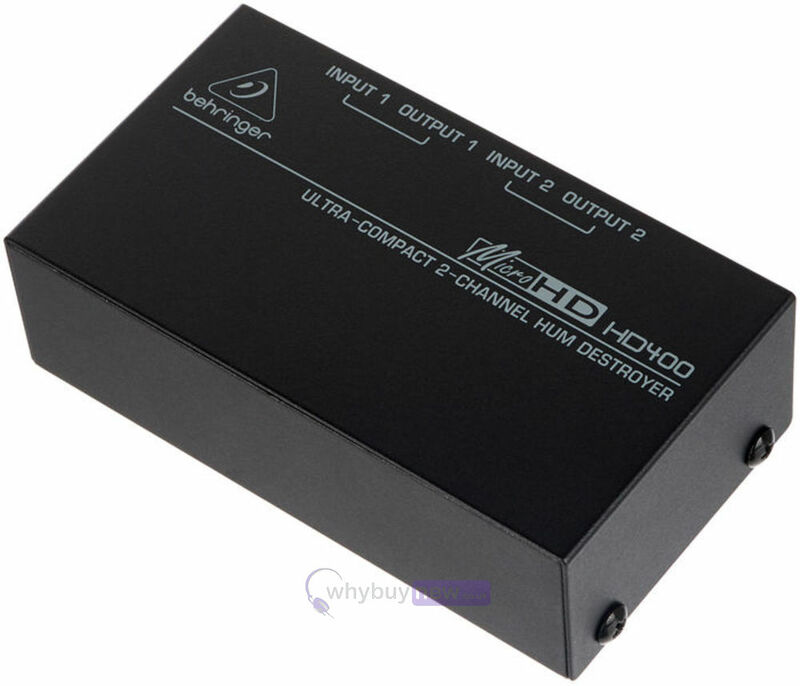 The HD400 features two channels allowing you to eliminate hum in two mono signals or one stereo signal. Placing the HD400 in-line between your stereo mixer and power amps for a squeaky-clean sound free of AC hum. It breaks ground loops safely while maintaining the highest sound quality. 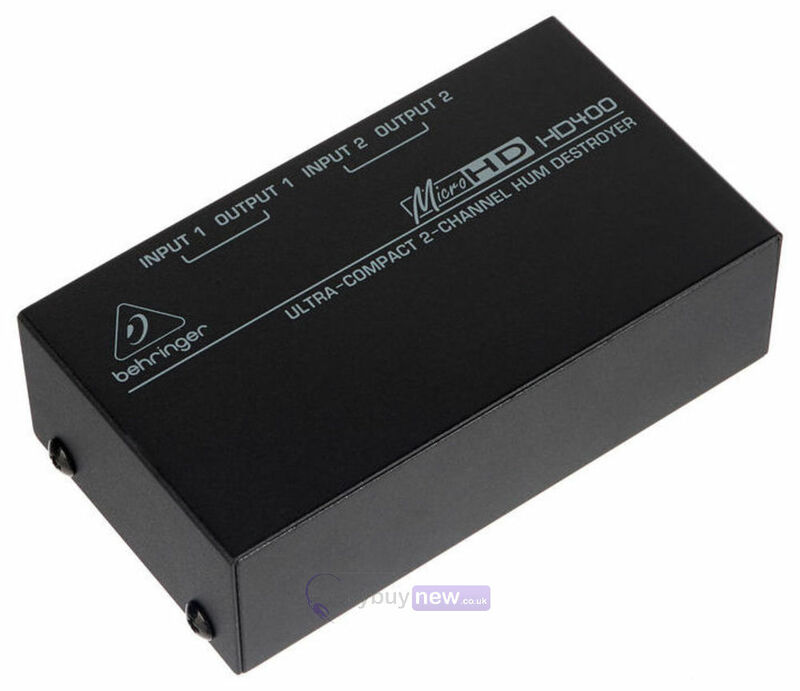 It can even convert your unbalanced signals into balanced without any signal degradation. The incredibly-handy MICROHD HD400 is small enough to ride to the gig in your pocket, but really big when it comes to cleaning up your sound. 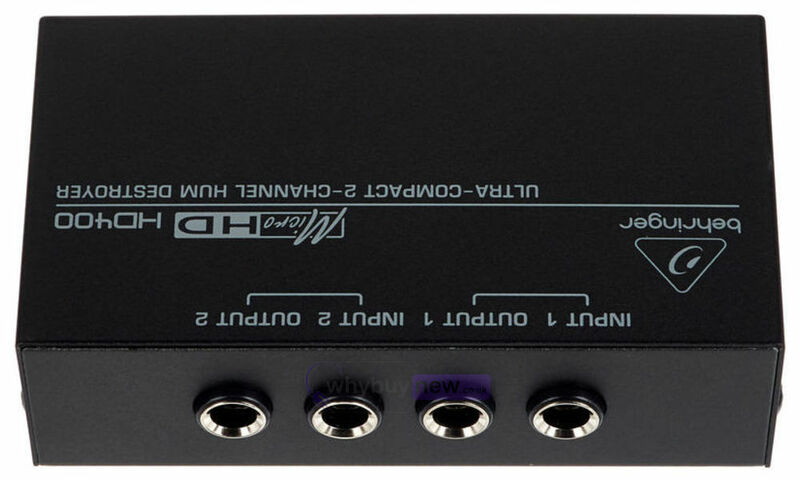 Top quality product, removed the ground loop from my audio setting like a wizard! Thanks whybuynew.co.uk!